Home ⁄ The Wire ⁄ 2015 NEW YORK ASIAN FILM FESTIVAL (NYAFF): DAY EIGHT! 2015 NEW YORK ASIAN FILM FESTIVAL (NYAFF): DAY EIGHT! Day eight! The 14th New York Asian Film Festival is still charging ahead here in New York City, and we’re still posting up the schedules every day — if not for you to attend the screenings as they happen, then at least to discover some cool new stuff to add on to your to-watch lists! 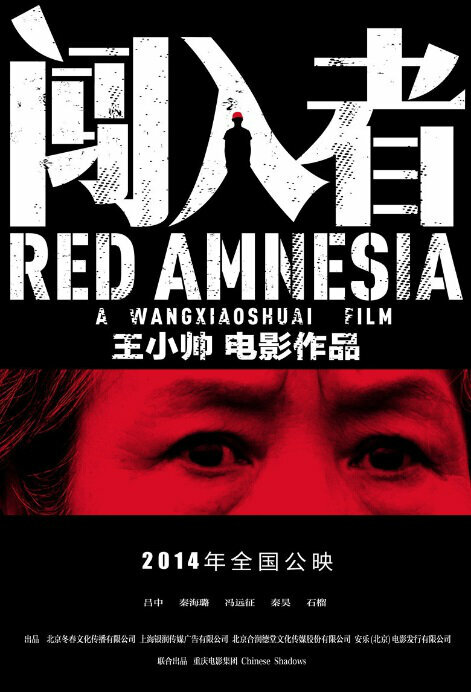 On its busy surface, BEIJING BICYCLE director Wang Xiaoshuai’s latest film chronicles the hurtful sidelining of an elderly widow, the recently widowed Mrs. Deng (Lu Zhong). Bossy and lonely, she spends her retirement days taking care of her house and pestering her grown-up children, who don’t seem to want her around anymore. The elder son Jun (Feng Yuanzheng) is a successful family man, and in many ways the perfect billboard for the “Chinese Dream”: comfortably living with his wife (Amanda Qin) and their little boy in a nice apartment, driving around in a nice car, and generally enjoying the luxuries and consumerist lifestyle of the global bourgeoisie. The younger son Bing (Qin Hao), gay and rebellious, has a salon and a boyfriend (Han Yibo); his sexuality, unacknowledged by his mother, is cause for tension and resentment. The old lady and her two sons stand as two generations staring at each from across the years, no longer capable of mutual understanding. Thankfully she still finds solace with the ghost of her late husband, who keeps her company. Beneath the small, everyday hostilities of the family and the hustle and bustle of Beijing life, tragedy is lurking: one day, the humdrum comes to an end with sudden and soon incessant, anonymous phone calls; every time she picks up, no one answers. Relentless, unnerving, the plague of the unidentified phone calls is followed by more physical menace as bricks are thrown at her window and garbage is dumped on her doorstep. Rumors of mysterious murders run wild in the neighborhood. Behind the stalking lie a mysterious tattooed boy, a long-buried secret, and the blood-red shadows of the Cultural Revolution. Indie filmmaker Li Ruijun (FLY WITH THE CRANE) is back with his fourth feature, a masterfully lensed nomadic road movie set in his dusty native province of Gansu, in Northwestern China. In RIVER ROAD, Bartel and Adikeer, two Yugur ethnic minority brothers, venture out with their two-humped camels to join their herdsman father, after their grandfather dies, by following a dried-up river bed. The children’s conflicts play out during their long journey while the heart-breaking desertification of the Yugur grazing lands – signifying also the end of a traditional way of life – serves as the backdrop to the drama. More than just a tale of stubborn figures pitted against the unforgiving landscape, the film earns its emotional payoff from the incredible performances of the young leads. Featuring the sand-blown splendor of infinitely sprawling vistas, ghost towns, and touches of the fantastic, RIVER ROAD is an absolute masterpiece of Chinese filmmaking. An arch-iconic prison breakout movie, ABASHIRI PRISON is the starting point of Ken Takakura’s meteoric rise to superstardom. 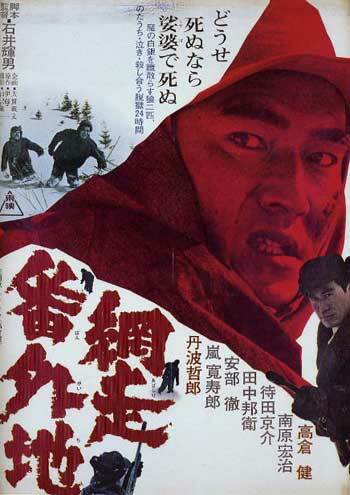 With this film Takakura became the epitome of Japanese manliness, strong and sensitive in equal measure. Here, he plays Shinichi Tsukibana, a lone wolf low-level yakuza who still believes in honor among thieves and lives by an upright code of conduct. After three years behind bars amidst the shadiest characters in Japan, his time within the walls of legendary Abashiri Prison is almost up. Erected in the Meiji Era, the prison stands in a desolate area of wintry Hokkaido, as inescapable as Alcatraz or Devil’s Island. Things take an unexpected turn for the model prisoner when he finds himself breaking out of jail, chained to the mercurial and malevolent Gunda (Koji Nanbara), a man whose villainy knows no bounds. Tethered to each other, they start a perilous journey on the run, much like a couple of Japanese DEFIANT ONES, wading through the snowstruck stretches of the north. This could very well be the end of the earth, or of their lives. Kinji Fukasaku’s glorious man opera put an end to the romanticized, heroic (ninkyo) yakuza movies of the Sixties, and introduced the world to a snarling, sneering new yakuza flick that landed like a punch in the face. Combining real-life stories of yakuza bosses with the immediacy of the newsreels that were playing before feature films, BATTLES WITHOUT HONOR AND HUMANITY kicked off a four movie series that examined the rise of the yakuza from Japan’s back alleys to its boardrooms. Opening in the shadow of Hiroshima’s radioactive mushroom cloud, BATTLES WITHOUT HONOR AND HUMANITY begins as Hirono (Bunta Sugawara) works the postwar black market for the Yamamori family, climbing up the ranks, his brothers chopping off their fingers for mistakes and chopping off their rival’s arms for turf violations. It’s a soap opera for men, full of sweaty faces seen in close-up, terse conversations, sudden votes, cigarettes ground out in anger, and last minute phone calls. But the movie inches up the tension until the final massacre explodes, making the end of THE GODFATHER look like an understatement. It’s a movie that’s as angry and alive as Frankenstein’s creature, electrified by Fukasaku’s rage against the men who sold out Japan. The yakuza in this movie are not noble, they’re barely even human. When they chop off their pinkies as an act of atonement, it’s mere seconds before a chicken steals it. They fight like rabid dogs over the scraps that drop from their master’s tables, and their blood overflows the gutters because to their bosses they are human garbage. This is the secret history of Japan’s economic miracle, a landmark film about how the country emerged from the ruins of WWII and rebuilt itself on greasy whorehouse handshakes, bribes, and crime. Presented in the brand new 2K digital restoration from the original 35mm negative. 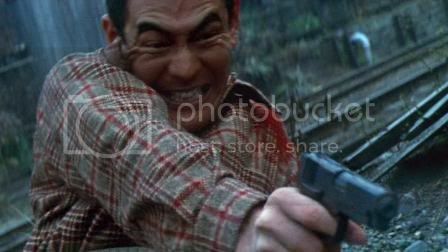 Part of THE LAST MEN IN JAPANESE FILM – A Ken Takakura/Bunta Sugawara Tribute. Presented with the support of Japan Foundation New York. Co-presented with Arrow Video. Kinji Fukasaku (BATTLE ROYALE) follows his YAKUZA PAPERS series with a film focusing on the other-side-of-the-coin, a police department where the yen far outweighs the law. Sugawara plays a guy who came out of postwar Japan and by a twist of fate wound up a cop instead of a yakuza. Doesn’t matter because he’s so corrupt he’s basically a criminal anyways: delivering witnesses to his yakuza buddies and looking the other way while they murder rivals. 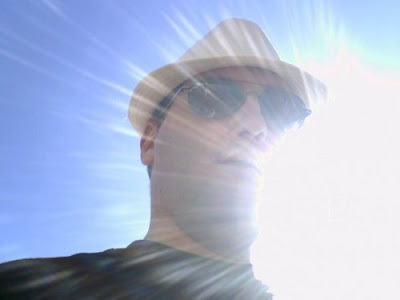 But now a war is breaking out and a new boss is installed: an anti-corruption police reformer. This bad lieutenant is going to have to choose a side, or go down dirty. 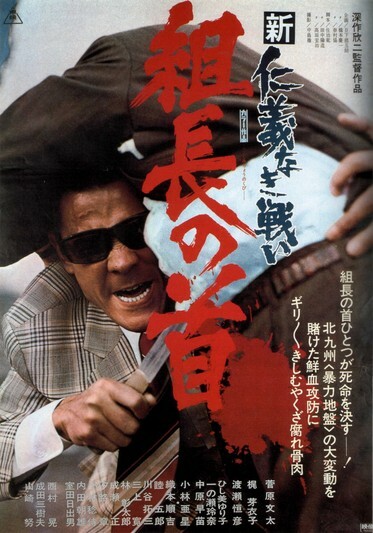 Part of THE LAST MEN IN JAPANESE FILM – A Ken Takakura/Bunta Sugawara Tribute. Print courtesy of the Japan Foundation. Presented with the support of Japan Foundation New York.